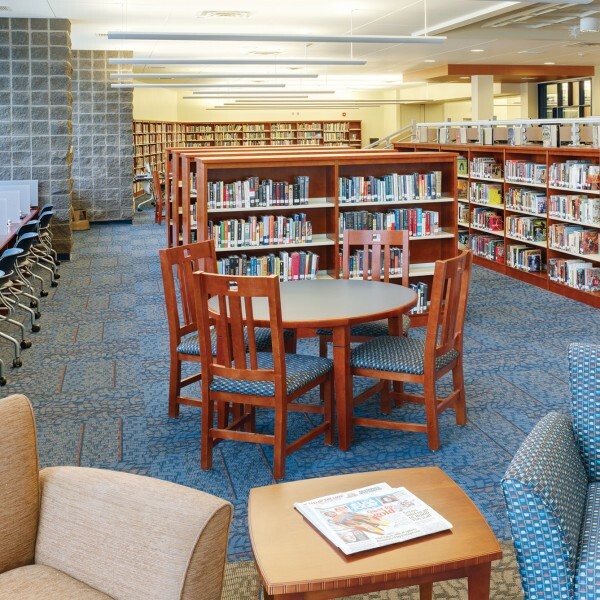 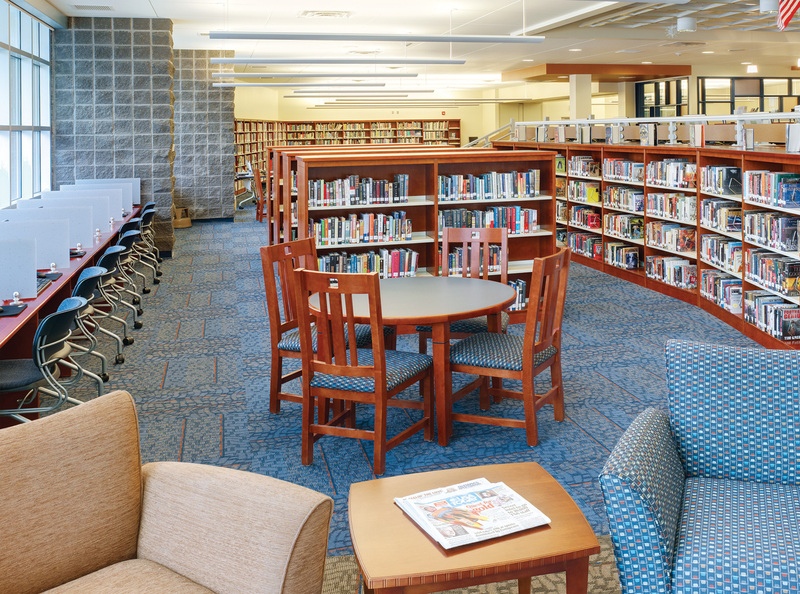 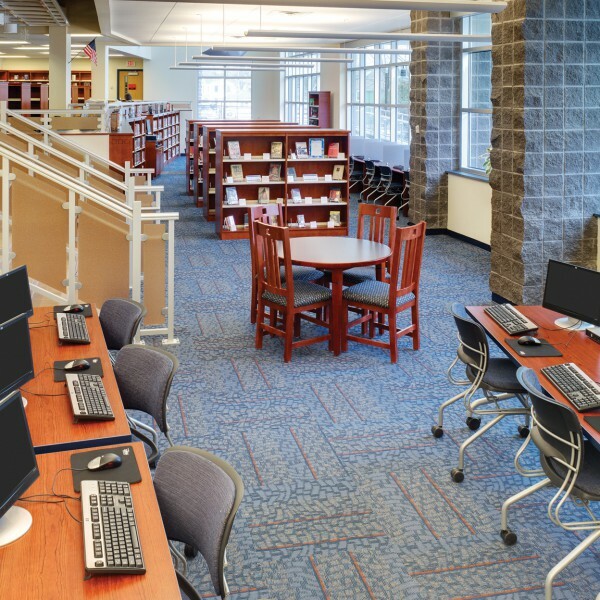 Penn Yan Academy’s Library Media Center strives to provide learning experiences that improve students’ abilities to effectively interact with information in a variety of formats. 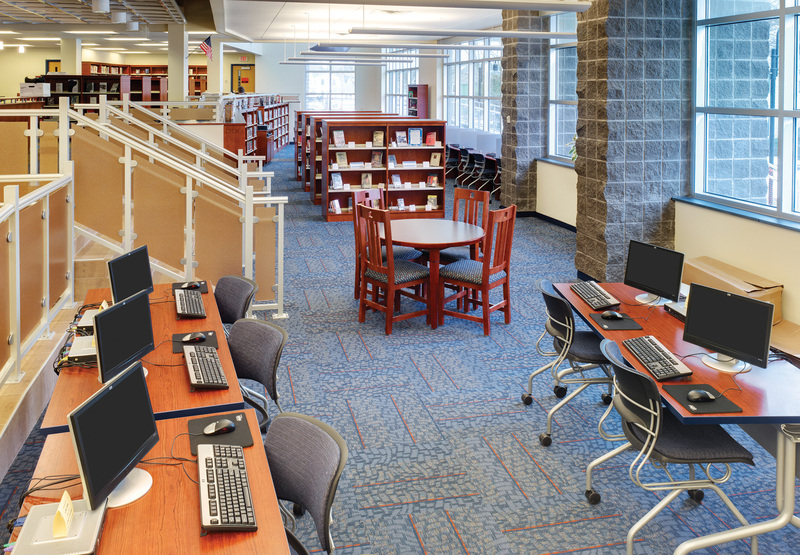 Among standard resources available such as magazines, newspapers, desktop and laptop computers and printers, students and faculty also have access to video recording/editing equipment with software, an interactive whiteboard and much more. 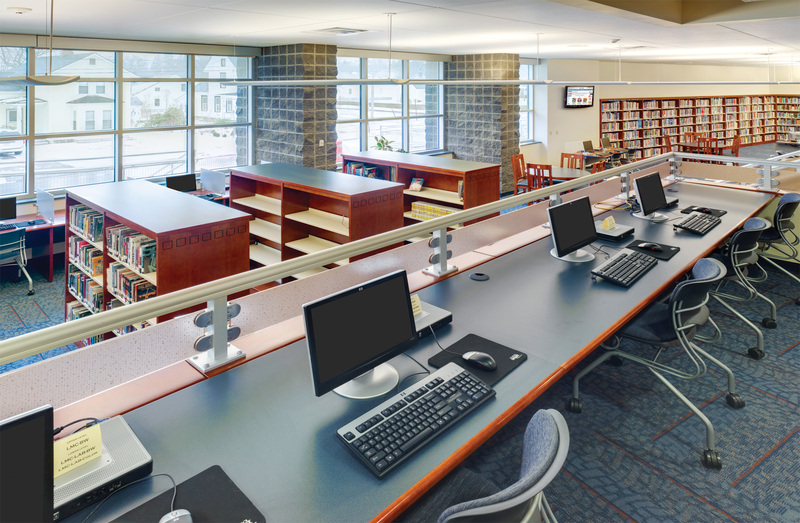 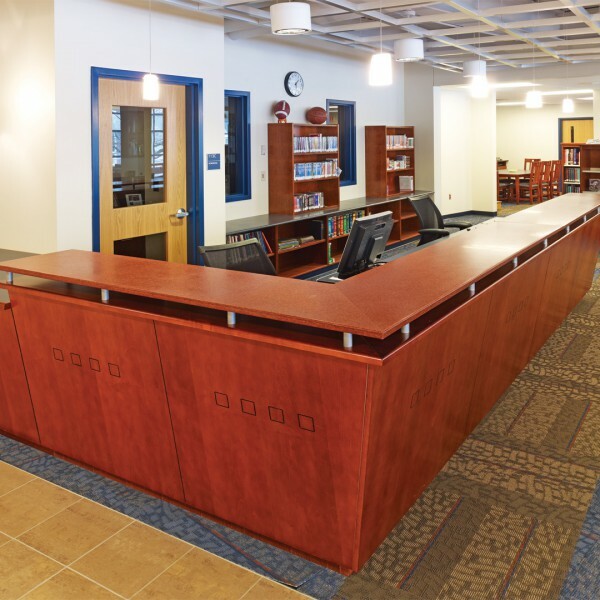 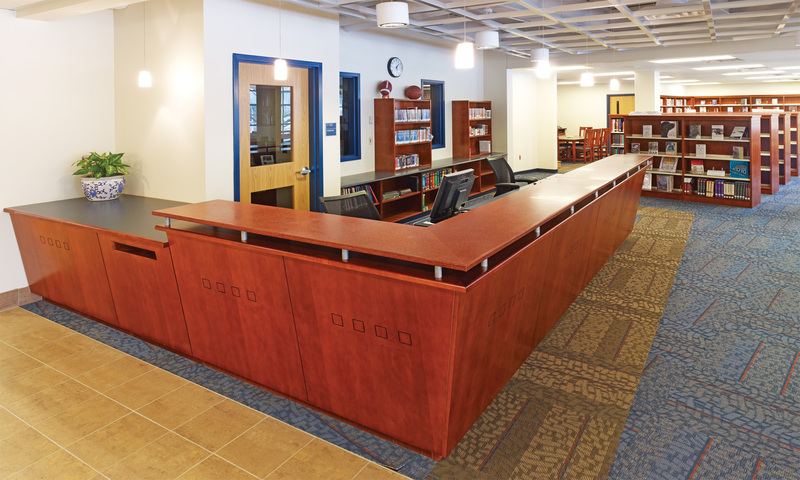 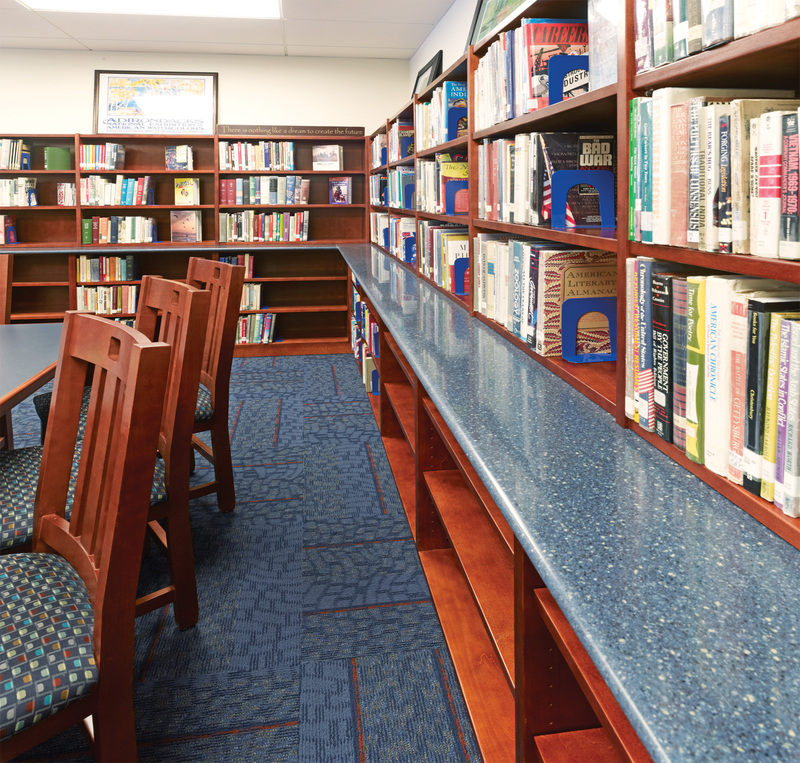 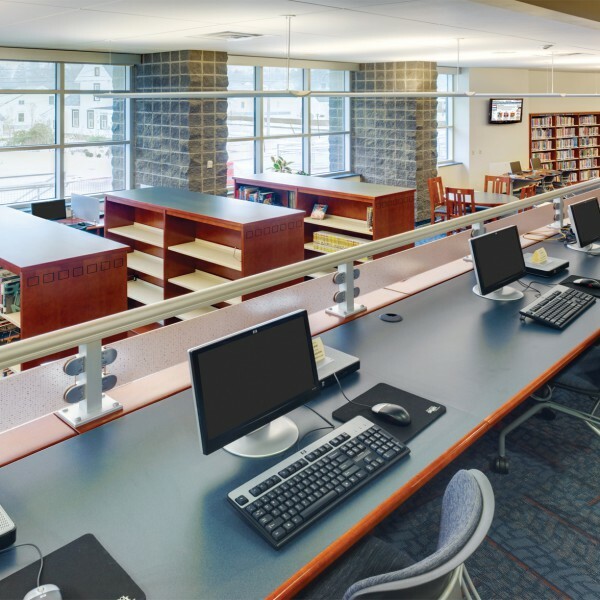 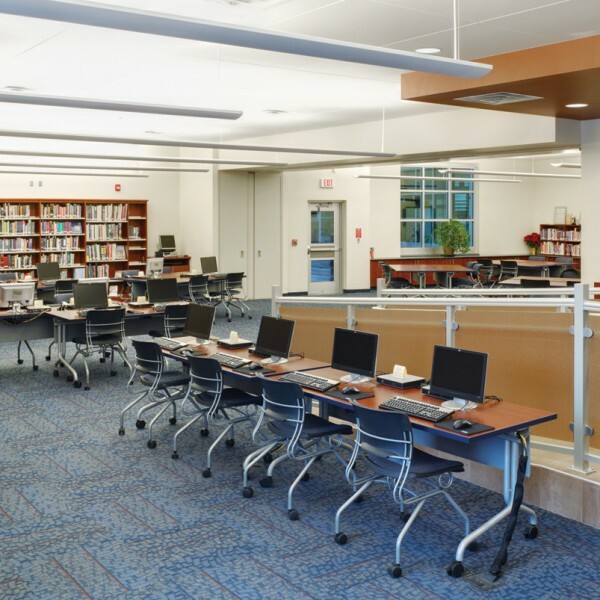 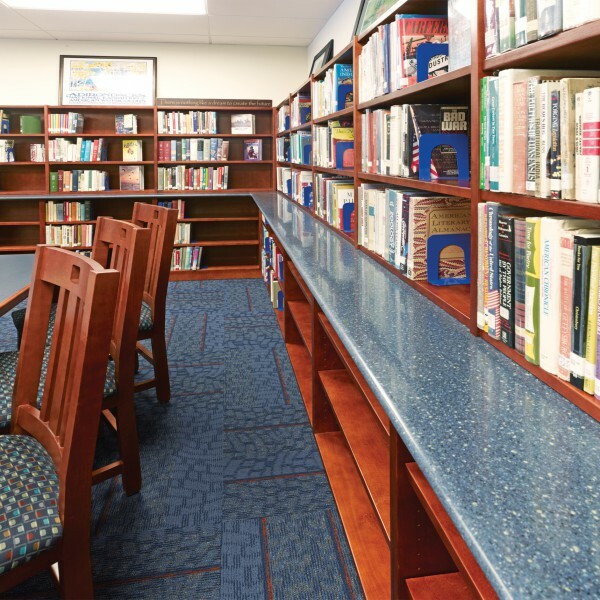 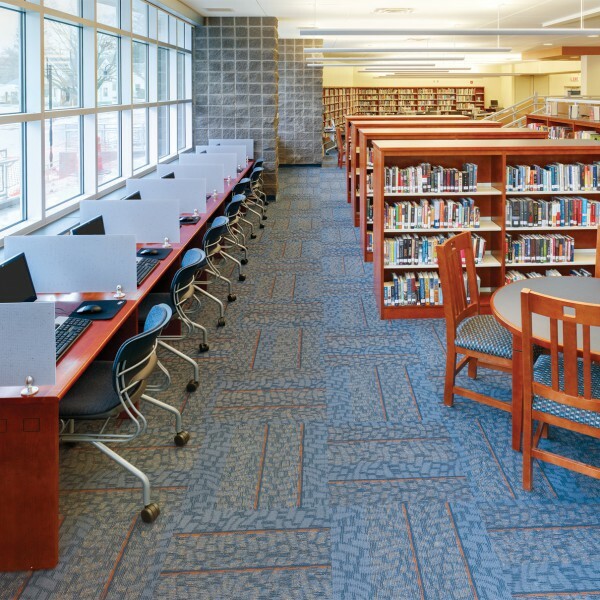 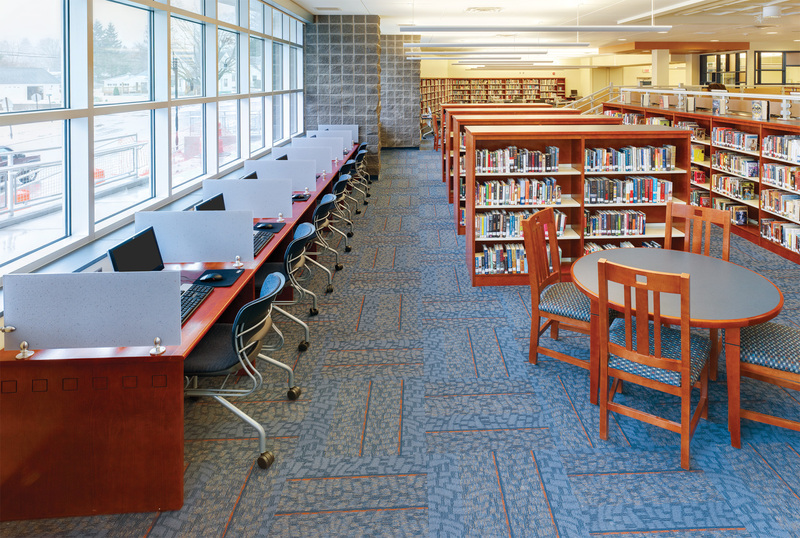 DEMCO Interiors incorporated a custom built-in counter top that wraps around one area of the library to provide students a surface to set their materials while browsing the stacks.